It's time to find a cure. Promote your next fundraiser with this eye-catching Breast Cancer Pink Sparkle Poster. 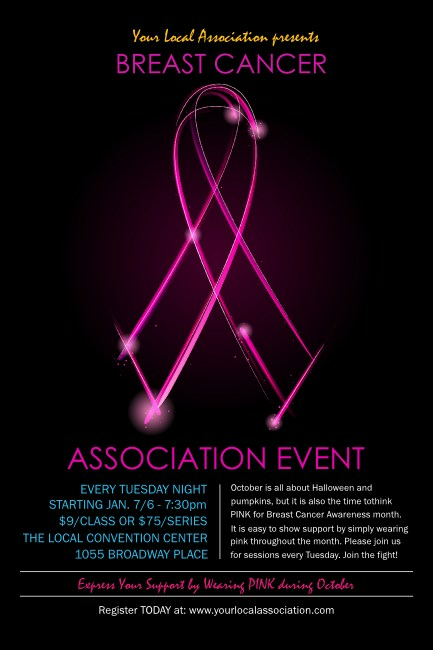 A sparkling outline of a pink ribbon stands out on the dark background. Sixteen lines of bright blue, white, and pink text showcase all your information on this template. Inspire passion and donations with this beautiful poster. Make a powerful statement with the right poster from TicketPrinting.com.